To help you treat that wonderful woman in your life, we are offering a complimentary Beauty Chef product for every Gift Certificate purchased over a certain value. Over recent months both our team and our clients have fallen in love with the superfood and dietary supplement range The Beauty Chef. Carla Oates, the founder of The Beauty Chef lives, eats (literally) and breaths her now globally recognised philosophy of ‘beauty begins in the belly’ and believes the first step to achieving a radiant and healthy skin is by balancing your digestive health. The unique range comprises of powerful gut boosting elixirs and powders derived from organic and biodynamic whole food sources that are jam packed with probiotics, flora culture, enzymes and nutrients. These patented formulas created by microbiologists and nutritionists are designed to be incorporated into our daily diet and lifestyle routines. 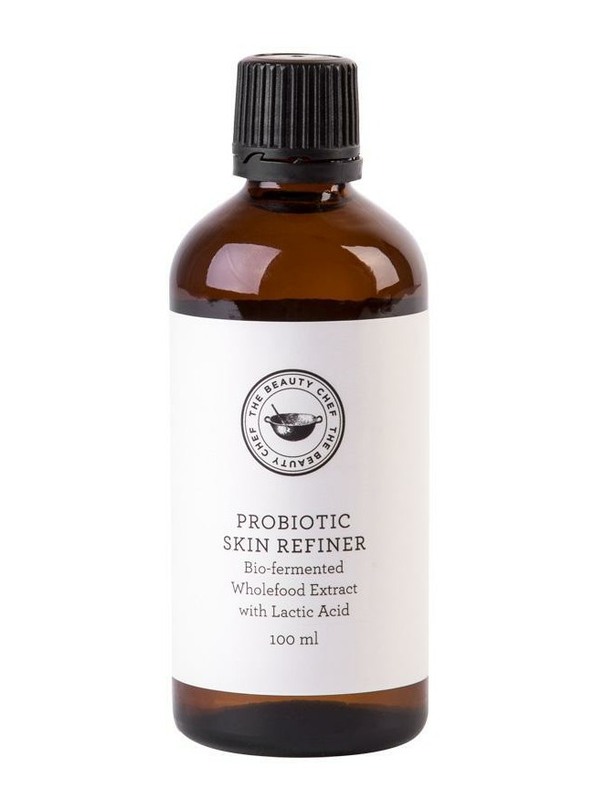 The Beauty Chef’s Probiotic Skin Refiner is an all-in-one exfoliator, hydrator and collagen booster that is rich in natural probiotics and bio-fermented lactic acid. Purchase a Gift Certificates over $250 and get both! To purchase, you can request a call back from our team by completing the form below. Alternatively, talk to our in-clinic team for more details about our Gift Certificate options on (08) 93241604.